One of the most disease resistant varieties in the rose world…free of black spot, powdery mildew, rust & downy mildew…guaranteed. 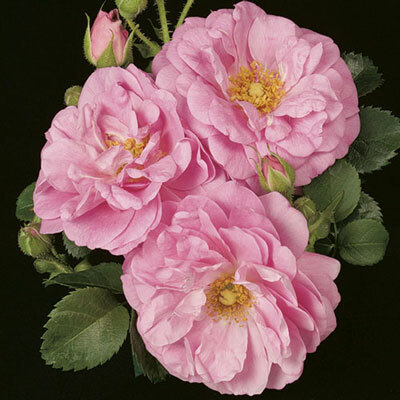 Old-fashioned pure-pink flowers exude a sweet spicy perfume. Lots of rugosa-like grey-green foliage provides the perfect contrast for this showy bloomer. The vigorous plant can be grown as a large spreading shrub or eventually trained as a climber. Bred in Canada & proven perfectly adapted for harsh winter. Best in Northern climates. Hardy as a rock & survives without winter protection in zone 3.